Do you want to improve your academic performance? Do you want to practice IELTS and TOEFL exercise everyday? Do you want to get help with your assignment? Do you want to get advice for your scholarship application? Do you want to get recommendation for paid job? Do you want to learn anytime, anywhere in a fun and interactive environment? If you answer "YES", join Enrich Academic Improvement Program. The program has six complementary elements creatively designed to help students improve their academic performance: (1) performance barrier assessment (2) interactive group learning via social media (3) meeting with advisors (4) weekly personal development seminar and (5) IELTS and TOEFL preparation course (6) free academic, scholarship and job counselling services. 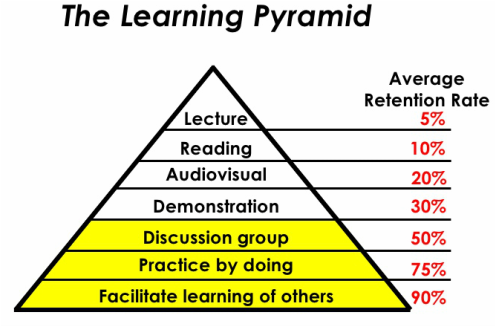 ​"Students do not learn much by just sitting in class listening to lectures, they learn best by joining group discussion, practicing and helping others to learn"
Once admitted to the program, students's academic performance will be assessed to identify the barriers facing the student in order to develop effective ways to help them overcome the challenges. Understanding that learning by reading and listening to lecture is not effective enough, the program develops a fun innovative integrated learning approach using social media that focuses on group discussion, practices and helping others to learn. Each student will have the opportunity to meet with our advisors to discuss his or her specific academic issues. Our advisors are available to meet in person or discuss online and offer effective and practical suggestions to help students overcome their challenges. All students will be invited to join our weekly personal development seminar series. The seminars cover various study skills and soft skills that help students to learn more quickly and effectively. Realizing that English language is very important in student's academic and work success, the program provide daily IELTS and TOEFL practice exercise and mock exam to improve student's English proficiency. We also offer free counselling services to students with their academic and work problems. For example, we are happy to provide guidance on their assignment, suggestions for their scholarship application and recommendation for their job application. Dr. Heng Pheakdey has 10 years of professional experience in leading organization, managing large scale projects and conducting research and training for various national and international organizations such as UNDP, World Bank, GGGI, GERES just to name a few. He is the Founding Chairman of the Enrich Institute and the founding curator for the Global Shaper by the World Economic Forum. He received his Master in Public Policy from National University of Singapore and his PhD in Social Science from VU University Amsterdam in the Netherlands. Ms. Heng Chanroth has five years of experience working as a lecturer. During her teaching career at the Institute of Foreign Languages, she was awarded "Outstanding Teacher Awards" numerous times and has been appreciated and recognized by hundreds of her students. Ms. Heng has a Bachelor in Education and a Master Degree of Art in Teaching of English to Speaker of Other Languages (TESOL). ​Dr. Chheang Vannarith has more than seven years of working experiences as a director of a think tank, university lecturer, consultant, and researcher. He was awarded Young Global Leader by the World Economic Forum in 2013. He received his graduate in leadership from the East West Center in the United States and PhD in Asia Pacific Studies from the Ritsumeikan Asia Pacific University in Japan. Dr. Socheath Mam has been working as a lecturer in College of Education at University of Cambodia since 2011. He got a M.Ed in Educational Research and Evaluation in 2011 from Yogyakarta State University (Indonesia) and his Ph.D. in Development Education from Chulalongkorn University. The areas of his interests include educational policy and leadership, teaching methodology and pedagogy, and education for sustainable development. Join before August 15, 2016 and get 50% discount of the normal fee.